HDPE Gas Pipe systems with various stiffness classes which are designed for utility and industrial applications. 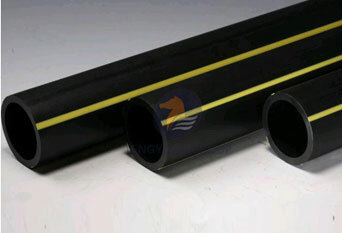 It is made from High Density Polyethylene (HDPE) or PP to manufacture these pipes. The diameter of HDPE/PP Profile Pipe is from DN/ID300mm to DN/ID 4000mm. The ring stiffness is SN2, SN4, SN8, SN16 or according to customer requirements. In Europe, HDPE Profile Pipe has been developed and applied more rapidly. HDPE Profile Pipe has gradually replaced the status of PVC-U Profile Pipe and become the main consumer pipeline. At the same time, HDPE Profile Pipes are gradually being used outside Europe. Pipes should be manufactured using the original resin of 0% recycled materials. 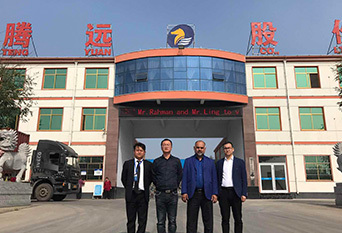 The HDPE material used in the manufacture of polyethylene tubes shall be PE 4710/PE100 in accordance with ASTM D3350 classification; and listed in the PPI (Plastic Pipe Institute) TR-4 with the standard level HDB ratings of 1600 psi at 73°F and 1000 psi at 140°F. The material should also be included in the same PPI file as PE 100, with a Minimum Required Strength of 1450 psi at 68°F. HDPE Spiral Profile Pipe will be melted between the temperature 190°C~240°C, using this characteristic to fully contact the two molten parts of the pipe, and to maintain the appropriate pressure, after cooling the two can be Profile Pipe is usually used in two ways, such as electrothermal melting connection and hot melt docking. The the the the the the the the By on-site excavators, which saves more time. The rinsing should be coordinated with the ASPA Inspector and the Water resources department. Abrasion Resistant: Tengyuan Pipes are among the most abrasion resistant pipes, which has been tested in the Darmstadt procedure. UV-Resistant: Black polyethylene pipes are permanently resistant to atmospheric corrosion and UV radiation, as the polyethylene used contains carbon black created acts both both pigment and an ultra violet stabiliser. Thus the pipes can be used and stored outside without the pipe material being Damaged. 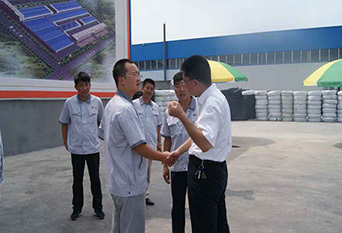 Resistant to Micro Organisms: Tengyuan Pipes are not nutrient media for bacteria, fungi and spores, so that the material is resistant to all forms of microbial attack as well as both sulphurous acid and sulphates. We also have HDPE material such as HDPE Water Supply Pipe, HDPE Trenchless Pipe, and so on. Please come and contact us. Previous What Is PN In HDPE Pipes?